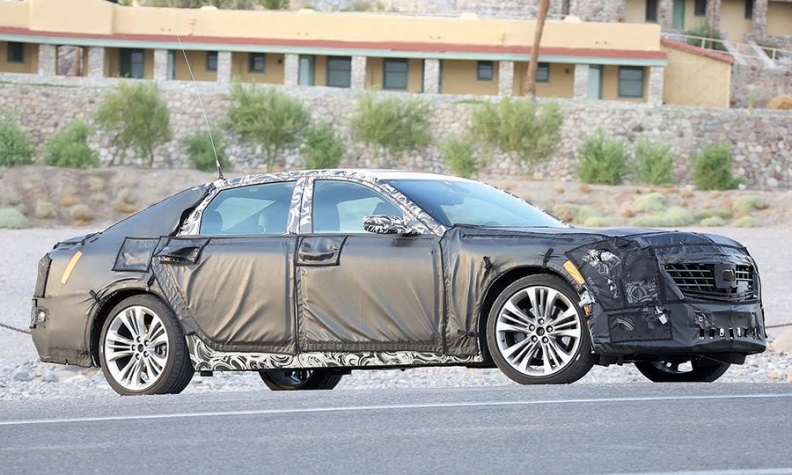 Cadillac's CT6 sedan, shown during testing in this spy photo, is scheduled to debut late next year. Cadillac also plans a plug-in hybrid variant, and a larger sedan to be called CT8 or CT9. PARIS (Reuters) -- Cadillac's new boss plans a blitz of new products by 2020, from a pure battery-electric car to an ultra-luxury sedan, that he hopes will help resurrect General Motors' struggling premium brand and make it a global powerhouse. The centerpiece of that strategy, confirmed by de Nysschen, is an expansion of Cadillac's product portfolio, potentially from five to 10 models over the next six years. 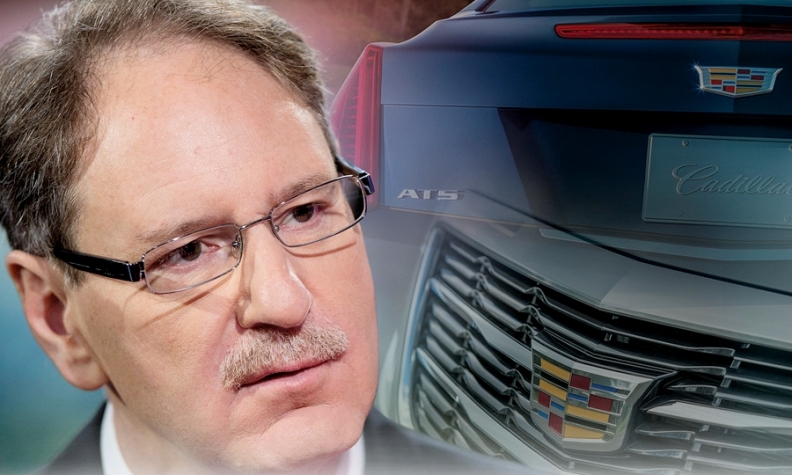 South African-born de Nysschen, Cadillac's third boss in two years, has taken over a 112-year-old brand that is being pummeled on its home turf by the German luxury manufacturers, which have blanketed the sector with mainstream and niche models and are outselling their Detroit rival by 2-1 in the U.S. market. De Nysschen said Cadillac has "just signed off on" a range-topping luxury sedan that will come to the market at the end of the decade and likely will be called CT8 or CT9. He added it would compete head to head with long-wheelbase versions of the BMW 7 Series and Mercedes-Benz S-Class. He also confirmed that Cadillac will offer a plug-in hybrid version of the new CT6 sedan that is scheduled to arrive in late 2015, and said a pure battery-electric car is part of the plan to expand Cadillac's model range. De Nysschen also said a successor to the slow-selling ELR plug-in hybrid is being developed, but it may not be a two-door coupe like the present model. De Nysschen is already trying to shake things up. Last month he announced plans to move the brand's headquarters from Detroit to Manhattan, to give it more independence from the corporate parent. He and former BMW executive Uwe Ellinghaus also established a new letters and numbers naming scheme for future models, similar to those used by many overseas luxury brands. The image gap between Cadillac and its powerful German rivals was underscored by Interbrand's annual top global brands list, released on Thursday, where Daimler's Mercedes, BMW and Volkswagen's Audi ranked 10th, 11th and 45th, respectively. Cadillac failed to crack the top 100. GM has labored for years to rebuild Cadillac into a global brand, but it has constantly stumbled in efforts to re-establish Cadillac's stature in its home market. Among the more recent issues confronting de Nysschen and his team: Too many unsold cars on U.S. dealers' lots, yet not nearly enough of the right products to blunt the Germans' assault. Critics have also charged Cadillac lacks a clear focus and cohesive marketing strategy. Closing the gap with the Germans will take at least two decades, TrueCar executive vice president Larry Dominique said: "Cadillac needs to find itself, define the brand and then execute consistently over those 20 years." De Nysschen: Cadillac has "just signed off on" a range-topping luxury sedan that will come to the market at the end of the decade and likely will be called CT8 or CT9. In keeping with Cadillac's new naming scheme, the future crossovers are expected to carry the designation XT to distinguish them from sedans that will be called CT. Each model also will carry a single digit from 1 to 9, de Nysschen said. He said the brand will have few carryover models in six years, adding, "Probably 90 percent of Cadillacs sold in 2020 are cars that are [still] on the drawing board." He said growth in Europe would likely not occur before 2020: "We have about five years before we can come to Europe [with] the right products."